HOWARD DAVIS and “WHITE RABBIT” - The man who claims to have inside knowledge of the Zodiac/Manson conspiracy meets with a man who claims to have known the Zodiac. White Rabbit, an ex-convict and Manson family member who once ran for political office on the “Manson Ticket,” claims that Manson family member Bruce Davis was the Zodiac. White Rabbit sold a Manson letter to Howard Davis which purportedly read, “Don’t talk about Zodiac.” The two men discuss the letter in this audio clip recorded on the streets of San Francisco in 2002. Davis and White Rabbit both appear in the YouTube CONSPIRAZ video clip. The GOLDCATCHER “CONFESSION” Tape - In this 2-hour audio recording from 2009, Blaine Blaine (aka Goldcatcher aka Zakatarious) tells a bizarre and confusing tale of his encounters with his suspect Richard Gaikowski. Blaine claims that he solved the Zodiac’s codes, and that he witnessed and/or participated in several murders. Blaine also explains his many theories linking Gaikowski to many other murders. This audio recording is supplemented by a partial transcript. Blaine’s recorded account conflicts with the original version of events documented in his many writings from the late 1980s. (NOTE: The audio recording known as "Goldcatcher's Confession" is no longer available on the Internet. 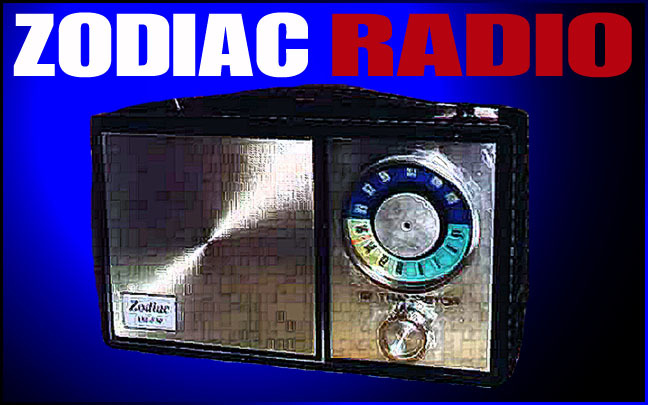 Tom Voigt, owner of the website www.zodiackiller.com, claimed that he owned the copyright to this and other audio recordings which proved that Goldcatcher was not a credible informant. Desperate to hide the evidence which proved that his informant was a crackpot, Voigt relentlessly harassed those who had posted the audio recordings online and filed complaints against webhosts in order to block access to the recordings. Voigt happily uses his website to promote Blaine as a credible informant while accusing his pet suspect Richard Gaikowski, yet Voigt does not make these recordings available to the public at his website. Voigt also filed several false claims of copyright infringement in a desperate attempt to prevent anyone from posting a photograph depicting Voigt and Goldcatcher together during filming of the History Channel documentary MYSTERYQUEST. The publicity still in question was actually owned by KPI Television, the producers of MYSTERYQUEST, and had been cited as such on the KPI and MysteryQuest websites. Read more about Tom Voigt and his efforts to exploit Blaine Blaine and accuse Richard Gaikowski in the ZodiacKillerFACTS articles Tom Voigt & MysteryQuest: The Rest of the Story and Tom Voigt, The "Good Times Switchboard," & Revisionist History.